Celebrating the success of our franchisees is a key component of the énergie franchise philosophy, which is why each year the winner of the ‘énergie Business of the Year’ award wins a trip to IHRSA, the annual International Health and Racket Sports Association Conference, hosted in the United States. 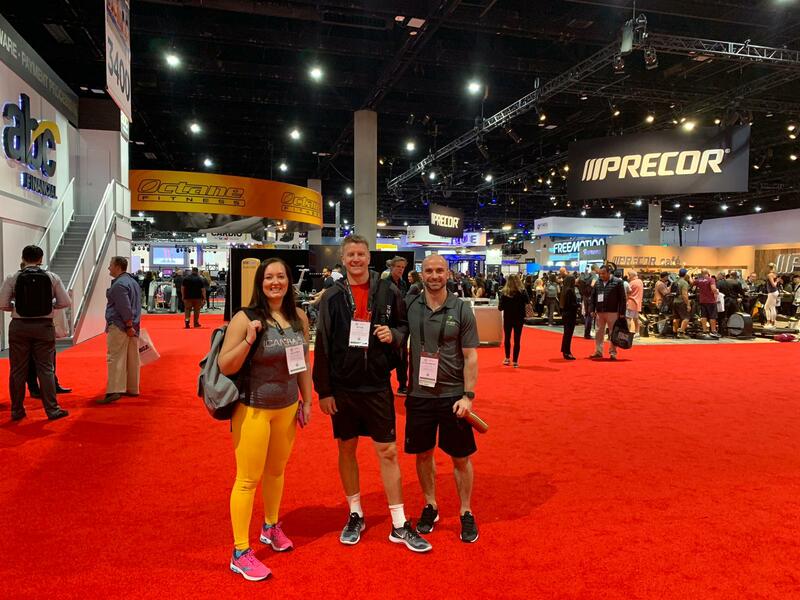 The IHRSA conference presents a fantastic opportunity to learn the latest industry insights, hear from exceptional speakers and look around one of the largest fitness equipment trade shows in the world. 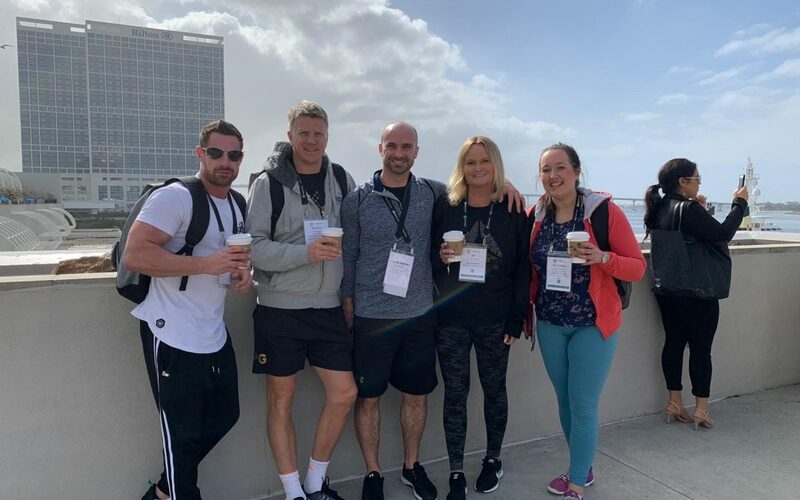 énergie’s Head of Fitness, Training and Innovation, Ian Rushbury and the Precor team flew back to San Diego earlier this month and were joined by our ‘énergie Business of the Year’ winners Jo and Peter Gunter, who are the owners of our énergie Fitness Hoddesdon and énergie Fitness Palmers Green gyms. The team were also joined by Klaudia Kubisztal, énergie Financial Controller and winner of the ‘énergie Central Team Member of the Year’ award. énergie Chairman, Jan Spaticchia, was also in attendance – delivering an inspiring educational session which discussed “The Challenge of Change” on day one of the conference. 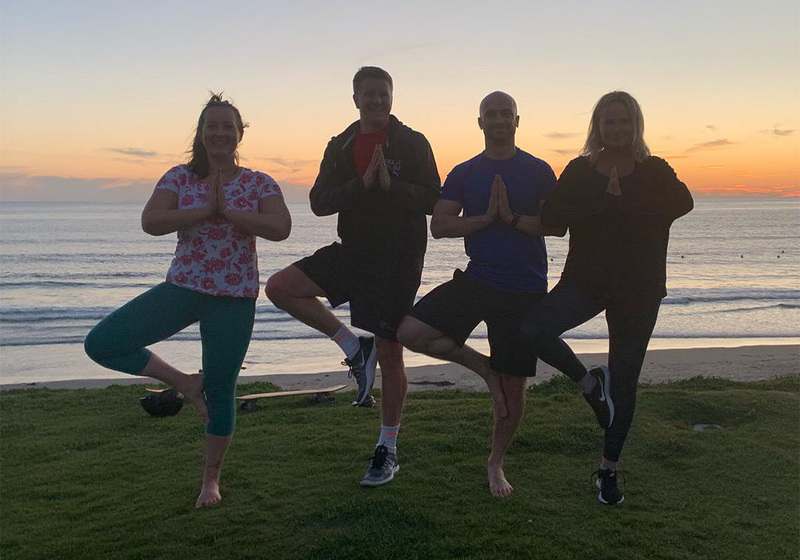 As we plan ahead for the return of IHRSA to San Diego in March 2020, our franchisees will be hoping to win a spot on this fantastic trip. Want a piece of the action? Simply complete the form below to request our franchise information pack and learn how you could join our rapidly expanding franchise network and own a winning fitness club franchise.